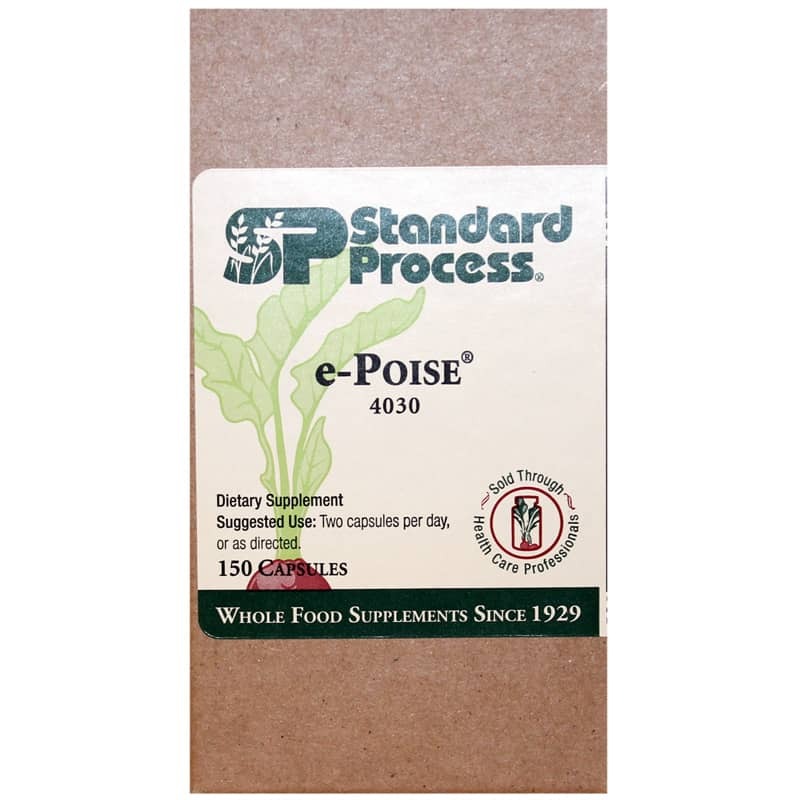 E-Poise by Standard Process is a natural supplement that promotes vitality and supports cellular health. 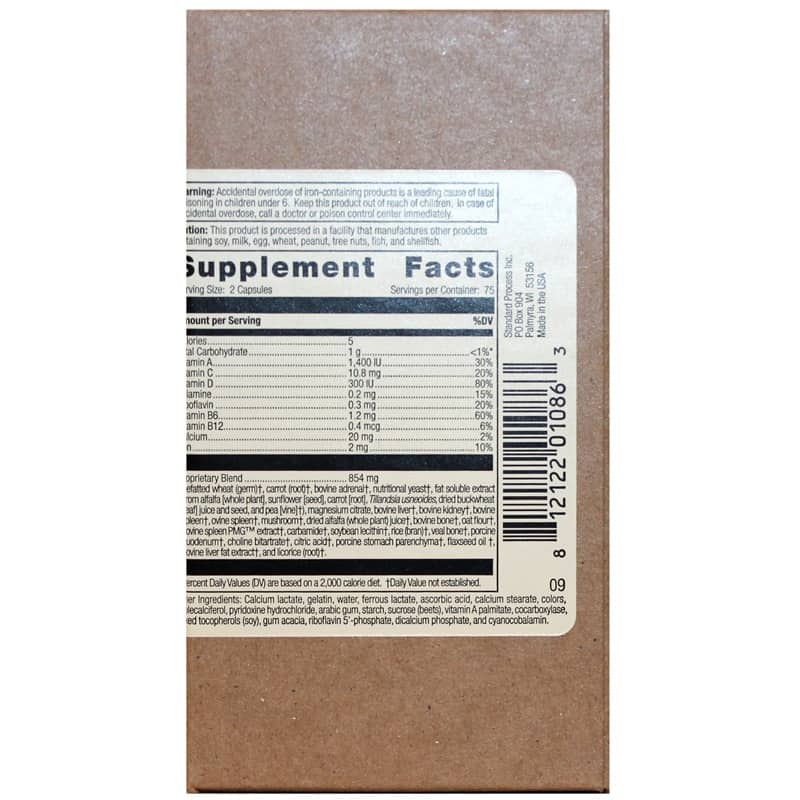 Other Ingredients: Calcium lactate, gelatin, water, ferrous lactate, ascorbic acid, calcium stearate, colors, cholecalciferol, pyridoxine hydrochloride, arabic gum, starch, sucrose (beets), vitamin A palmitate, cocarboxylase, Vitamin E (soy), gum acacia, riboflavin, tapioca starch, dicalcium phosphate, and cyanocobalamin. Adults: Take 2 capsules per day, or as directed.